One News Page > News Videos > Happy Birthday, Victoria Beckham! HAPPY BIRTHDAY Victoria Caroline Beckham was born on April 17, 1974, and turns 45. She was born in Harlow, Essex, United Kingdom, and raised in Hertfordshire. The former singer rose to fame as a member of the Spice Girls in the 1990s. Beckham was known as Posh Spice. She later made her solo debut with the release of her single, “Out of Your Mind.” She has starred in documentaries, ‘Being Victoria Beckham,’ ‘The Real Beckhams,’ and more. 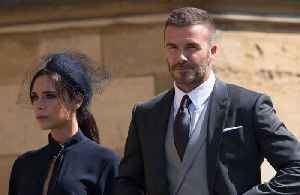 Beckham has also appeared in "Ugly Betty," "American Idol" and "Project Runway." The designer launched her own fashion label, Victoria Beckham, in 2008. It has been named Designer Brand of the Year in the UK. At 45 years old, Victoria Beckham's still got it! On the 17th April Victoria Beckham celebrates her birthday! Victoria Beckham has revealed she received a lovely gift box and handwritten note from Kourtney Kardashian as the star celebrates launching her own Poosh lifestyle website. 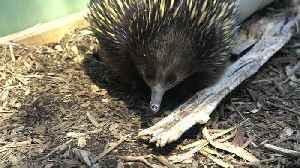 Even though she was born allergic to her main food group – ants – nine-year-old echidna Matilda tucked into a delicious meal of meat slurry on her birthday at Healesville Sanctuary,..
Spice Girls star Mel B has admitted she's still "gutted" her former bandmate Victoria Beckham won't join this summer's reunion tour. 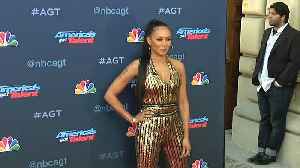 Mel B has reportedly branded Victoria Beckham with a less than lady like title, during her interview on Piers Morgan’s Life Stories.